Chris Mullin has agreed to a deal to become the next head coach at St. John’s, multiple sources told ESPN. Mullin, 51, is one of the greatest players in St. John’s history, winning the Big East Player of the Year award three times in the 1980s. He was drafted seventh overall in the 1985 NBA draft by the Golden State Warriors, playing in five straight All-Star Games from 1989 to 1993. Mullin is also a two-time Olympic gold medalist and was induced into the Naismith Memorial Basketball Hall of Fame. Lou Carnesecca, Mullin’s former coach at St. John’s, told ESPN.com’s Ian O’Connor that he offered the new coach of the Red Storm some advice. Carnesecca also believes Mullin has the makings of a good coach. 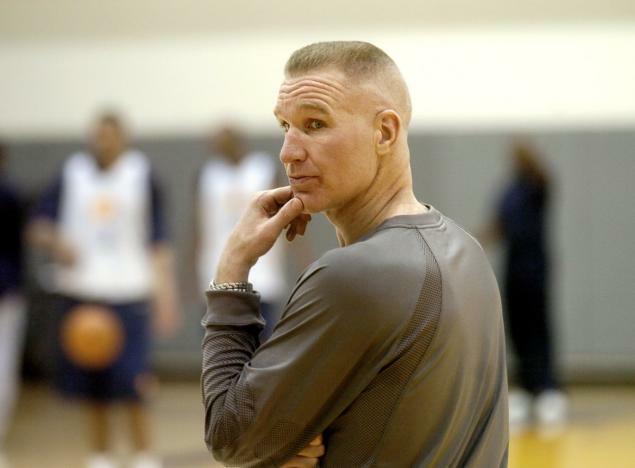 Mullin replaces Steve Lavin, who parted ways with the Red Storm on Friday after five seasons. St. John’s made two NCAA tournament appearances and two NIT appearances during Lavin’s tenure. The Red Storm were 21-12 this past season, getting knocked out in the round of 64 by San Diego State. St. John’s loses four seniors, while Rysheed Jordan and Chris Obekpa are considering the NBA draft. Top-50 recruit Brandon Sampson also reopened his recruitment after Lavin and the program parted ways.